Wellhead grease fittings bleeders, blowdown fittings are provided by CCSC technology is a kind of metal fitting used in valves and wellhead systems to feed lubricants, fibrous and plastic packing and sealing grease, usually inject lubricating sealing grease into a bearing or valve bonnet or bottom of the tubing head casing head by a grease gun. Wellhead bleeders are usually installed on a gate valve, choke valve, wellhead systems for pressure release. Our grease fittings and blowdown fittings and bleeders are designed and improved from parker PGI brand. Wellhead grease fittings and bleeders typically include vented cap body grease fittings,9/16”Autoclave blowdown fittings,1/2”NPT blowdown fittings, packing injection fittings, lubrication sealant fittings, McEvoy grease fittings, free flow packing injection fittings, double ball check, body vent bleeders fittings, single ball spring check, double ball check, etc. Wellhead grease fittings and bleeders are the key equipment on oilfields for gate valves, choke valves, ball valves, plug valves, choke manifolds, wellhead and Christmas tree etc. 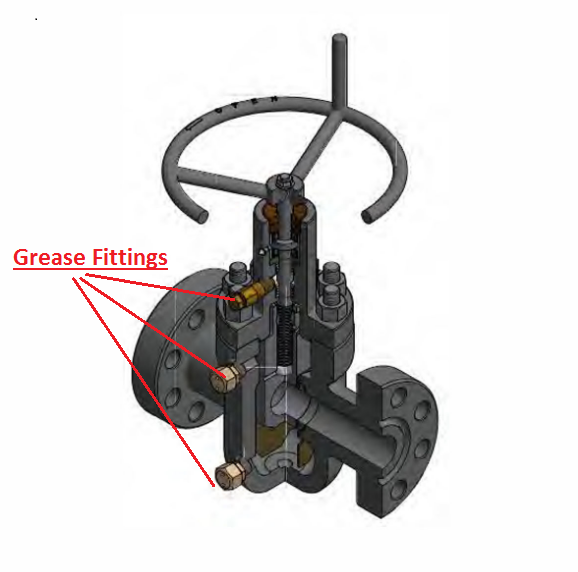 Different grease fittings and bleeders have different structures according to the on-site usage. Typical applications include1/2”NPT male thread for 15000psi working pressure and 9/16”AUTOCLAVE thread for 20000 psi working pressure. We CCSC technology are dedicated to improving efficiency and safety in field operations, all kinds of Wellhead grease fittings and bleeders can be designed and manufactured according to user’s requirements and drawings.